For just plain fun, or for competition in any venue! Fun – that tires them out! Dogs live in a world of odors. They gain information from the environment around them in order to meet their basic needs by using their noses, similar in detail to the way humans use their eyes. Through this incredible scenting ability of dogs, their innate curiosity, and natural hunting desire we can harness their motivation in sniffing their way through life to find the trained target odors we would like them to find. 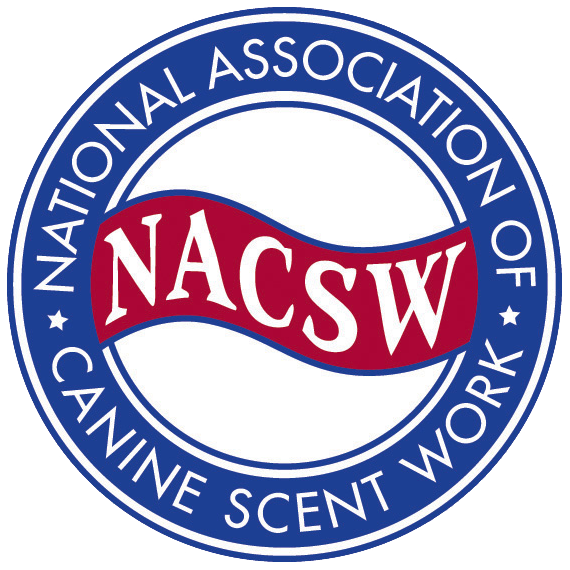 Designed by professional detection dog trainers specifically for our companion dogs, this popular and fun sport teaches our dogs to recognize and find essential oil odors for reward, and teaches us how to recognize when they have found that odor in new and exciting ways. What could be better than getting rewarded for sniffing! The dogs love it, and their people have fun too! We’re under construction, but feel free to browse the Resources, Classes, and Events pages for information. Thank You!